Today’s guest post is by Natalie Bacon of Finance Girl. I’m sure this post will resonate with many of you. It’s a great reminder for many of us that are super busy with our kids, work and home duties while trying to fit in many other things. I’m sure you will enjoy this post as much as I did. 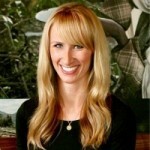 Also make sure to check out her blog where you’ll find tips on personal finance and intentional living. If you are in a relationship with someone, whether you are married or dating, you know how demanding and time consuming the relationship can become. Add kids to that relationship and you struggle to find time just for the relationship, let alone just for you. And while your personal time may not seem like a priority compared to your other obligations, this could not be further from the truth. Doing something that is just for you is vital to your growth as a person and to what you are able to give to others. For the busy women out there (and I don’t know who this would not include – aren’t we all so busy? ), I’m here to tell you that you need to make time just for you. When you are fulfilled, you are a better person in all of your relationships. You are a better wife, mother, sister, friend, etc. When you are happy internally, it is obvious to everyone around you. Your energy becomes magnetic and people are drawn to you. By working on yourself and focusing on your personal fulfillment, you will be a better person, but you will also be better in all of your relationships. Not to mention, you will be less needy and dependent on others for your happiness. The way that you grow as a person internally is by working on yourself. Of course your relationships with others make you happy (or you probably wouldn’t be in them). But when it comes to developing yourself and being able to give in your relationships, you need to find that from within. When you are internally “on fire” you can give more to your family. Do this, by finding something that is just for you; something that you truly love; something that pushes you and helps you grow; something that you are passionate about. To choose something that is just for you, think about things you enjoy doing. If nothing comes to mind immediately, think about what you enjoyed doing when you were 10 years old. Often, we would like to be doing things we were doing when we were that age (e.g. : dance class). A few examples of hobbies that come to mind are: reading, writing, photography, working out, yoga, dancing, hiking, scrap-booking, sewing, and knitting. These are just examples – you may have something completely different in mind, like going shooting. Whatever it is, choose something you would love to do just for you. After you have something in mind, think about how you can turn it into a regular activity. Check online to see if there are any “clubs” or “groups” that do what you want to do. Examples include: book club, photography class, running club, aerobics / yoga / dance class, craft / sewing class. If you can find a group that is doing the activity you want to do, join that group. 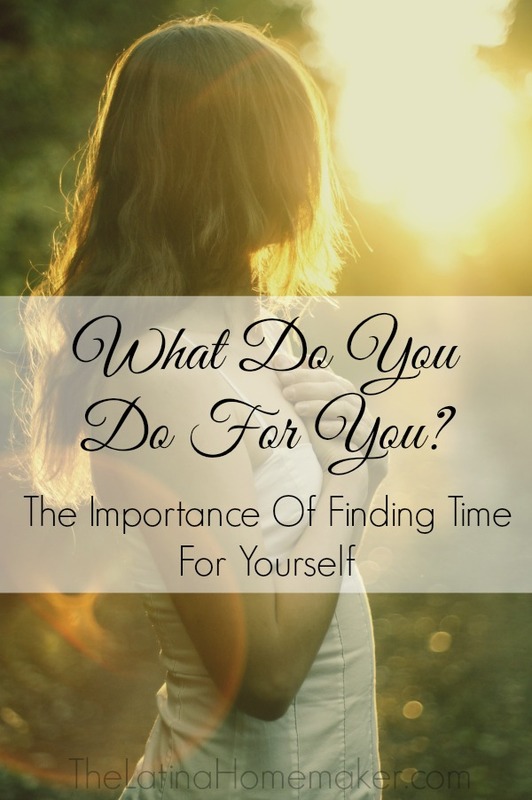 This is incredibly helpful when it comes to prioritizing time just for you. If you have a standing class that you have to be at every week, you will make it a priority. It is a lot easier to block out the time when you have to stick to a schedule. If you cannot find a club / group / class to join, you should still prioritize a hobby that is just for you. It just makes it a little bit harder because you are only accountable to yourself (not the class). Nonetheless, it is still as effective and you should not be any less committed. You can create your own schedule with deadlines so that you really make your activity a priority. Put your activity on your calendar and commit to that time as “me time”. Whenever it is a class or whether you are doing it on your own, be sure to use a schedule and put it on your calendar. Treat your activity as you would an appointment for your child or a doctor’s appointment that you cannot miss. Prioritize it as you would anything else. For example, if you want to practice photography but choose not to take a class, be sure to get out of the house by yourself once a week for at least an hour and practice your photography skills. This may mean going to a local coffee shop and researching photography techniques one week and going around town shooting different locations the next week. Just be sure to block off the time and do the activity as you would if you were in a class. Remember: having time for yourself makes you a better person who is able to be better in your relationships. No one is going to care more about your time than you will. It is important for you to advocate for yourself. Having something that is just for you will help you grow internally and make you a better person. It is so important to have something that is just for you. Don’t let anyone tell you that you are being selfish; that is nonsense. You are taking care of yourself, which is more important than anything. You cannot take care of other people if you don’t first take care of yourself. By doing something that is just for you, you are showing your kids, husband, and others around you the importance of having something that is just for you. And who doesn’t want to set an example of a strong, personally fulfilled, independent woman? I know I do. Natalie Bacon is the blogger behind Financegirl, where she writes about finance and intentional living for young, professional women. Natalie is an attorney by day and a personal finance freelance writer and blogger by night. You can follow Natalie on Facebook, Pinterest, Twitter, Google+ and Instagram. I guess this is kind of one advantage to being single and having no kids! 🙂 Hey, I gotta find something! 🙂 But I do believe everyone needs something for themselves to maintain sanity and getting personal fulfillment out of life! I agree that it is so important to take time for yourself and it is hard for us to always accept that it’s okay to do so. I love to exercise and that is something that I do for myself. Those rare days when I miss my morning workout, I feel off. Natalie, I couldn’t agree more! I always tell the kids: I’m a better mom when I take care of “me” like I take care of you. I have been contemplating on this a lot. With a 3 year old and a husband I just feel like there is always something that needs to be done and I don’t have any time for myself. I guess I will have to work on this. I love exercising in the morning before my kids (a 5 year old boy and a 2 year old daughter) wake up. I also like to read in the evening, after they go to bed. Me time is very important and I could not function without it. I could not be a good mother, a good wife, and a good holistic nutritionist if this time would not exist.